Happy Monday everyone! Today’s post in is relation to what we discussed this past Wednesday, the artistic bike racks. Today we’d like to bring to your attention another resource that is available for cyclists in Erie- our local repair stations. 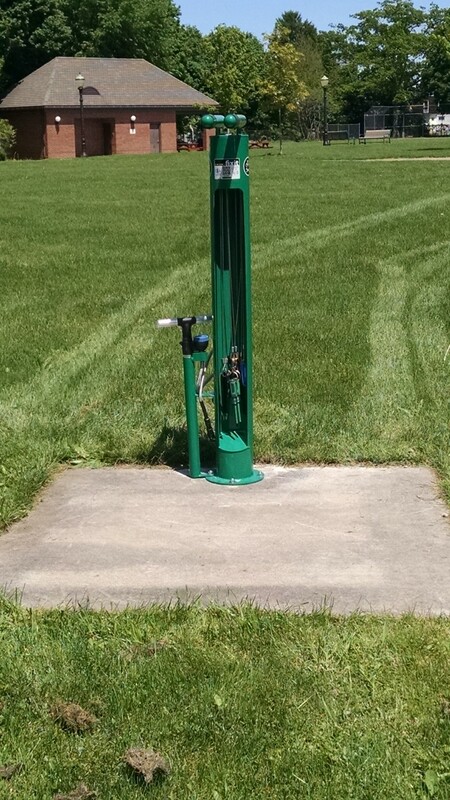 Most people in our area-even the cyclists- are unaware that our county has 5 bike repair stations that can be utilized on the go if needed. If you are comfortable with a bicycle then the repair stations are very straight forward, but if you need assistance figuring out how to use it, give us a call! Or call any local bike shop and they should be able to walk you through what you’re using. Each of these locations should be fully functional for the biking community to access and take advantage of. If you come across a repair station that is not in good working condition, please make an effort to contact us at Let’s Move Outside or Melinda Meyer at Erie Arts and Culture. We will do the best we can to schedule maintenance in order to get the station up and running quickly. Remember to bike safely and keep these repair stations in mind in case of an accident, one may be nearby that you can use!